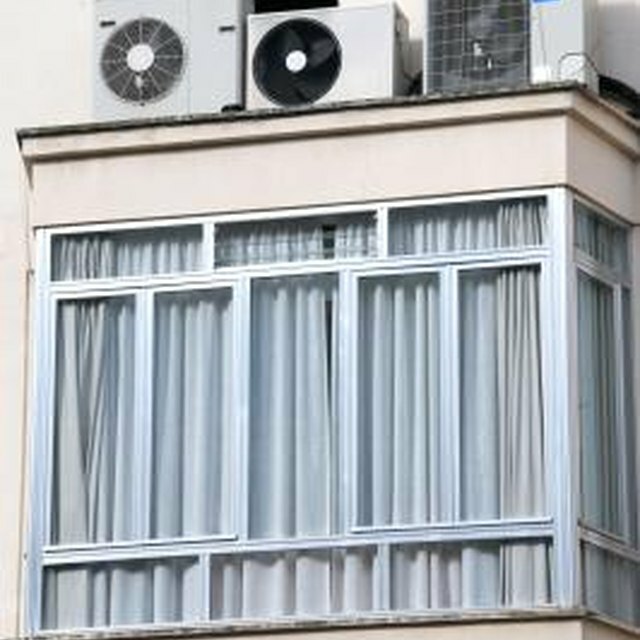 While air conditioners are often thought of as making the room colder, air conditioners for home and commercial use such as central air conditioners feature both hot and cold temperature regulation. On the part of the air conditioner control that regulates heat, an air conditioner sequencer provides protection and increased control over the amount of heat generated by the unit. Air conditioning units feature one or more of three types of sequencers. These sequencers -- called 1-stack, 2-stack or 3-stack sequencers -- operate both the heating fan and the heating elements in the air conditioner. The number of stacks refers to the number of individual regulator units located on the overall sequencer. On each sequencer, the programmed timing is printed on the base of the unit. This allows installers to correctly place sequencers in such a way that delivers optimum energy use as well as optimum heating. Once installed, the sequencer is responsible for activating the heating element. The sequencer is the last link in the chain that starts at the air conditioner thermostat control unit. When the sequencer receives the signal, it activates the heating strips accordingly. The central job of the sequencer is to alternate activation of heating strips in an orderly fashion. This prevents the air conditioner unit from generating too much heat at one time and also prevents the heating elements in the unit from overloading. The sequencer will activate one set of heating strips, and then alternate to the next set, giving the first set time to cool down before activating them again. Sequencers are also responsible for the regulated operation of air conditioner fans. These fans activate when the heating element is activated, circulating warm air from the vent into the room and keeping air conditioning apparatus from overheating. A broken air conditioning fan may stem from a broken sequencer or a sequencer that is not properly calibrated with the heating unit. All of this regulation prolongs the life of the air conditioning unit, ensuring that no single part of the system is worked for too long without a break. Additionally, the sequencer regulates the amount of power going into a unit. This increases the power efficiency of the unit and often lowers electrical bills. Arnold Service: Welcome to Our Electric Heat Repair Parts Page!